for $342,000 with 4 bedrooms and 3 full baths. This home was built in 2005 on a lot size of 106x140. 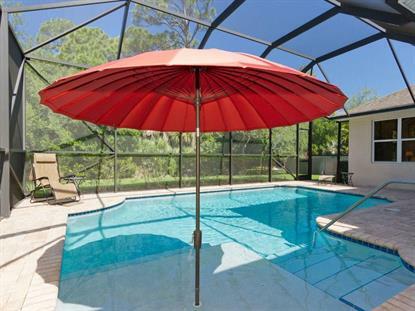 Elegant 4 BR Florida retreat perfect for enjoying year-round sunshine poolside! Newer screened, heated pool '15 w/paver patio overlooks wooded area & is surrounded by lush landscape for privacy! Volume ceilings, archways & niches, shimmery chandeliers add style. Roomy kitchen w/breakfast bar, granite counters, SS appliances, breakfast nook. New A/C '17, Hot water tank '16, home warranty.